Gorgeous Set - Each set includes 5 sets E-TING handmade clothes for 11.5 inch doll. 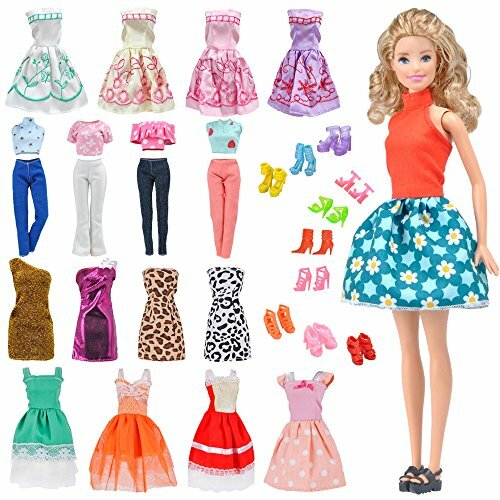 Including 2 sets Tops Blouse +Trousers Pants and 3 pcs barbie dress(Random Pick). PERFECT FIT - This handmade doll dress is suitable for 11.5 inches tall dolls and can perfectly fit for Momoko, Pullip and Jenny dolls. Love these clothes and accessories!